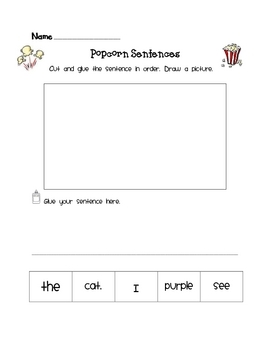 Cut and glue sentence in order. This is the first page in a complete unit you can purchase in my TPT store. :) Thanks and please leave me a comment. I appreciate you!